The Oldest Living Fish | FISHING FURY - A Fishing Blog with Attitude! The oldest fish in captivity has now spent 75 years in an aquarium. He made his journey, via steamship and train, from Australia, to Chicago for the 1933 Chicago World’s Fair.The Australian lungfish known as Granddad is 4 feet long and 25 pounds and is said to be at least 80 years old. No one is quite sure how old Granddad is — just that he’s been in Chicago for 75 years. 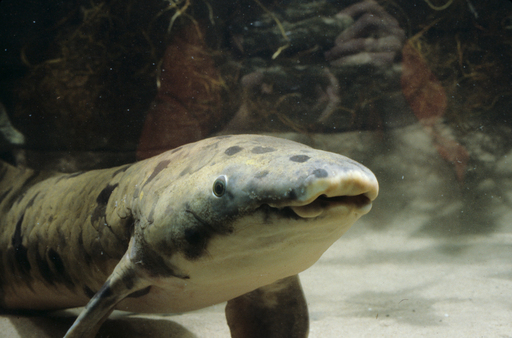 That makes the Australian lungfish the longest-living fish at any aquarium in the world. Wow most of my fish only live up to about 3 day or. Weeks then die and I’ve had over 10 fish. I just got a new fish named Colman Fin Tinhes been here 1 day so far I wanna see if he can make it up to a month edleast.